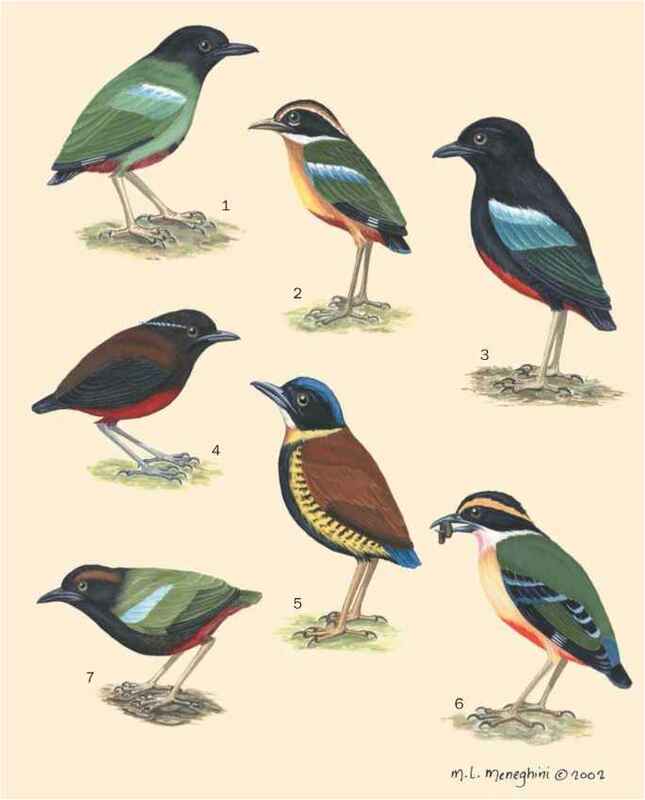 French: Pipit de Sprague; German: Präriepieper; Spanish: Bisbita Llanera. 6.3-7 in (16-18 cm); 0.8-1 oz (22-29 g). Pale buff face; olive-tan upperparts streaked with buff and black; buff to whitish underparts with dark streaking; white outer tail feathers. Dark eyes; thin pale bill; creamy pink to yellowish legs and feet. Plumage camouflages the bird in prairie grasses. 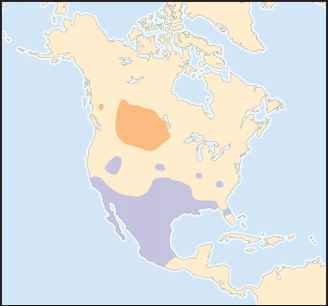 States (Montana, North and South Dakota); winters in southern United States and northern Mexico south to Guerrero and Veracruz. Tall grass prairies and short-grass plains; on migration uses stubble and fallow fields. Often flies high when flushed. Displays with a high, arcing song flight. Migrates south September through November, returns to breed in April through May. Forages on the ground for insects; also takes some seeds. Monogamous. Nest is a cup of grass and weed stems, built on the ground and often overarched with grass. Lays four to seven eggs; fledging period 10-11 days or more. May be double-brooded. Vulnerable because of rapid population declines in the United States and Canada due to loss of prairie breeding habitat to crops, pasture and hayfields, and the introduction of alien plant species; intensive grazing is a threat throughout its range.